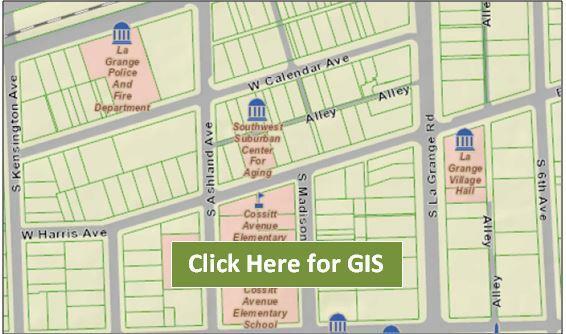 The Village of La Grange utilizes a geographic information system (GIS) for mapping and analyzing data. In 2014 the Village joined the GIS Consortium, a group of 31 regional local governments, unified by common goals to share resources, information, staffing, and technology. This technology helps La Grange to automate and improve traditional processes from mapping incidents to supporting infrastructure systems and centralizing project management.